Is the colorful and meaning United States Flag now "obsolete" in our American court(s) of law? Do you remember the "Pledge of Allegiance" to the Flag of the United States? "I pledge allegiance to the Flag of the United States of America, and to the Republic for which it stands, one Nation under God, indivisible with liberty and justice for all." The meaningful United States of America Flag in a court of law which represents liberty, freedom, equality, and justice under the Constitution and laws of the United States. Our Mission: Save your meaningful United States of America Flag in a court of law which has been illegally "terminated" by the United States Court(s), the "orders" of the state of Ohio and federal judges and justices, and furthermore removed state of Ohio and federal government Representatives, Agencies, and employees. This is a spectacular and horrific 20+ year story of public and great general interest, with necessary Report and Recommendations on matters of alleged; "insurance company fraud", and next leading to alleged crimes of "fraud on the court" with the "termination" of "due process of law" to a legal party's "right in action" to "Jury Demand " in a court of law to determine all genuine issues of disputed material facts for a jury to decide, not decided by a judge. The meaningful Flag of the United States of America represents your basic civil rights as American citizens in a court of law and has been "terminated" in our American courtrooms of law by a large number Federal of state of Ohio government employees, under oath of office and duty. Two legal case matters (now 18 years of litigation) within the State of Ohio and Federal court(s) venues which carry an expressed "Jury Demand" action for a "trial by jury" (not a judge) to determine the disputed issues of material facts of a Long Term Disability (LTD) insurance policy while engaged in the "business of insurance", for financial protection in the event of a disability hardship. These legal case matters are valid, credible, longstanding and timely made to a “Jury Demand” action(s) to determine all genuine issues of material fact before the courts within their “original instant action”, as "preserved inviolate" , to a basic civil right in action for a “trial by jury” in determining the facts of the insurance case matter with fair and proper verdict(s) and suggested "remedies of relief" on the case docket(s) at; Common Pleas Court of Montgomery County, Ohio; Case # 2000CV1472 (Judge Mary Katherine Huffman), and later removed to federal U.S. District Court Southern District of Ohio in Dayton, Ohio; Case # 3:00CV 00277 (Judge Walter H. Rice, presiding and Micheal Merz, magistrate judge), and independent Common Pleas Court of Montgomery County Ohio, Case # 2003CV-9499 (Michael Krumholtz) , and later removed to federal U.S. District Court Southern District of Ohio in Dayton, Ohio Case # 3:04-0033 (Judge Thomas M. Rose). None of these judges, and other judges and justices, and elected officials, agencies and employees show any action or cause to "affirm and support" the Constitution and laws of the United States, and clearly show cause to being deceitful, corrupt, and seriously dangerous acts of violations of law against all American citizens. By rules of law within the State of Ohio and Federal court(s) venues, these two legal case matters are carrying void "Judgments" and/ or void "Orders", as the Plaintiffs have made a timely and compelling "Jury Demand" action to determine the genuine issues of material facts of the case matters, not by a bench judge. A large number of government employees including Local (Dayton, Ohio), County (Montgomery County, Ohio), State of Ohio, and the Federal government, "who are under color of law", have knowingly and willfully failed to support and affirm this valuable "Jury Demand" action under the Constitution of the United States when petitioned for their services while under oath of office and duty to the United States of America. See some of the alleged rivals and betrayers against the United States of America. Warning of alleged overt acts of High Treason against the Constitution of the United States. These troubled employees / persons include past and present Local, County, State of Ohio and Federal; Representatives, Agencies, Judges, Appellate Judges, Supreme Court Justices who are allegedly "levying war" against the Constitution of the United States,"adhering to the enemies" (insurance companies), "giving aid and comfort" to "terminate" the insured /legal party's basic civil rights to a "Jury Demand" action, as "due process of law", under the Constitution and laws of the United States and historic Flag of the United States. The insured /legal party (Joyce L. Ackerman, and spouse Greg T. Ackerman), states the facts and alleged that Federal Court (Judge Walter H. Rice, presiding and Magistrate Judge Michael R. Merz), conspired together to “terminate” Plaintiff’s fundamental case matters carrying their valuable “Jury Demand” action and ordered the Plaintiffs to pay sanctions of $1000.00 on or before February 29, 2008 deadline, and furthermore threatened the Plaintiff’s by utilizing its contempt powers to jail the Plaintiffs for contempt should they persist in making additional filings for Constitutional protection. What in the world is going on with these paramount case matters to everyone with equal justice under United States law? The Ackerman(s) (as American citizen peers) present strong constitutional claims with merit to the State of Ohio and Federal District Court venues upon their civil actions and civic duty to defend (affirm and support) the Flag of the United States in all courts of law, and therefore have paid the $1,000.00 fine to the Federal District Court to further defend the Constitution of the United States in a court of law. The longstanding Flag of the United States of America is worth the $1000.00 fine against the insured legal party, plus the additional economic cost and non-economic losses to18 years +of litigation all the way to the Supreme Court of the United States (Petitions for Writ), however, they are still without any civil protection or fair justice along the way. The Federal District Court has now "threatened" the Plaintiffs (Greg and Joyce Ackerman) with jail sanctions if they file any more legal papers in support of their "Jury Demand" for a trial by jury, and furthermore sent the U.S. Marshal agents to their home with additional warnings not to pursue equal justice under the law or risk being arrested and taken to jail. Justices of the Supreme Courts of the United States, Judges, and all other government representatives are "not above the law". This patriotic mission is for all American citizens to help save our colorful and meaningful United States Flag within "our" American courts of law (Courts of law belonging to "We the People"), which represents and dictates the legal text and execution of the Constitution and laws of the United States. It is recommended to alleged and charge all relevant "principal characters" of Local, County, the State of Ohio and the Federal Government involved in these corrupted constitutional matters; employees, Representatives, Agencies, Judges, Appellate Judges, Supreme Court Justices who are "owing allegiance to the Constitution of the United States" (Oath) and are paid (money, benefits, and pensions) by the state and federal taxpayers. Alleged rivals and betrayers of the Constitution of the United States. To hold strict accountability for anyone involved in these longstanding constitutional matters, who knowingly and willfully; failed to discharge their duties, failed the oath of office, and performed ill-actions against their constituents of the State of Ohio and the United States. "Whoever", while under oath of office and duty, chooses not to act in support and affirmation of the Constitution of the United States upon the request of United States citizens, has still made a conscious (knowing and willful) choice that initiates and leads to their alleged criminal activity to "adheres to their enemies (insurance company), giving them aid and comfort within the United States or elsewhere, to obstruct justice and the substantive trial by jury action under substantial due process of law. Treason is the capital crime of betraying one's country of the United States of America, particularly by attempting to kidnap and kill the sovereign or overthrow the federal government. Overthrow the Constitution and laws of the United States that specifically dictates the right to a trial by jury is preserved and inviolate under due process of law and equal justice of law for everyone. An indictment for any offense punishable by death may be found at any time without limitation. (Even under 18+ years of litigation). Furthermore, it is recommended; whenever it is of the opinion that the public interest requires, the alleged traitors to these paramount crimes may be subject to "grand jury" proceedings upon this critical "Information" of alleged "treason" and serious "capital crimes" against the Constitution and laws of the United States. We wish for you to join our side of the fence upon an 18 year legal battle (war) to protect the meaningful Flag of the United States, and Flag of the State of Ohio, and every other state(s) Flag which laws clearly dictate "due process of law" to a "trial by jury" upon a timely "Jury Demand" action. We simply desire and respectfully demand our day in court with a trial by a jury among our community peers to determine the "facts" and "controlling terms" of our 100% vested, voluntary, excess benefit Long Term Disability insurance policy, as justice so requires. We compel and move the courts for this valuable "trial by a jury" action, with a community of local peers, to determine all genuine issues of disputed material facts for a jury to decide, not a bench judge with his and her alleged corrupt agenda against the Constitution and laws of the United States. Your input will play a critical role in helping us to fight back from the outrageous attacks and deceptions against our Constitution of the United States. 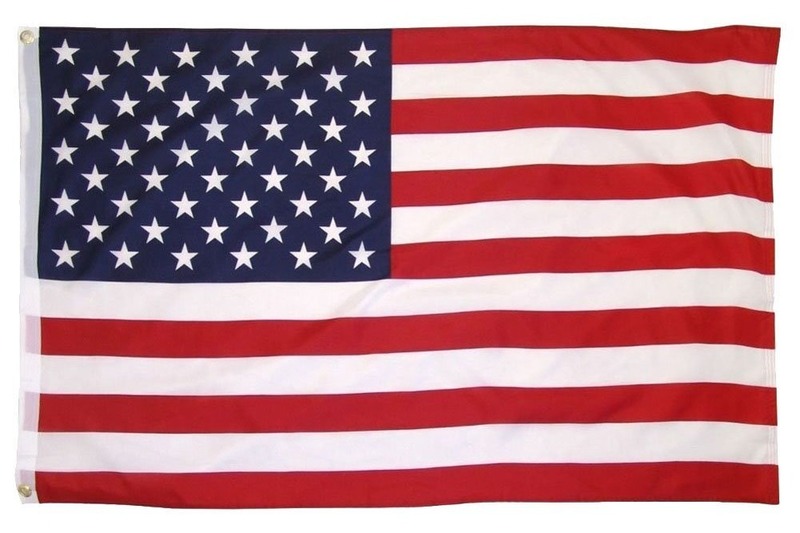 What price is the meaningful United States of America Flag worth to you? ($1, 5, 10, 20, 100, 500, 1000, 5000, 10,0000, 50,000, 100,000 ,...or whatever is needed to support the meaningful U.S. Flag in a court of law. Please support and donate funds to help us in our 18+year legal mission. Your donations will help us cover the enormous legal fees and cost to "Save Your Flag" in a court of law, and hold these persons legally accountable for their horrific actions against the Constitution and laws of the United States. Your patriotic donations will affirm and support the 230+ years of Veterans Affairs and civilian services to protect and uphold the meaningful Flag of the United States for all American citizens, and abroad. Thank you again for your honorable support to this mission to defend the Flag of the United States in all courts of law. www.ConstitutionRescue.org ~ Help rescue the Constitution of the United States in a court of law. www.badfaith.info ~ Horrific story of insurance company fraud for over 22 years, with 18+ longstanding years in the American Courts of law. www.SaveYourFlag.com ~ S.O.S. Help Save Your Flag; Your colorful and meaningful United States Flag in all American courtrooms of law.